The Guildhall Gold Combo is designed for the gold buyer who wants to own different types of sizes and weights. New gold investors like the initial assortment of products they can have with a ready-made portfolio. More experienced investors enjoy the product diversification that combos offer. Another aspect of the gold combo is that it appeals to various budgets. Whether gold enthusiast want to diversify or are simply working within a limited budget the Gold Combo presents a unique array of options. 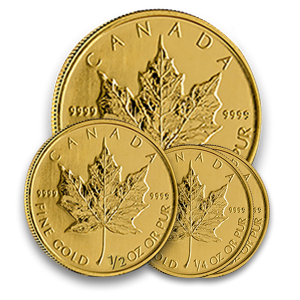 Gold combos introduce an increasingly popular item to investors; the 1/4 oz Gold Maple. 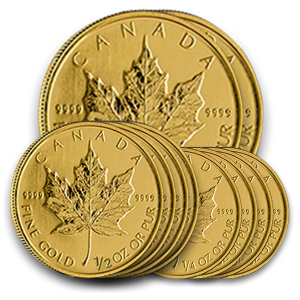 As the price of gold becomes increasingly expensive gold enthusiasts are discovering the benefits of gold coins. The smaller size of this bullion product results in a higher cost per ounce but the benefit of acquiring gold in increments less than one ounce means that even the smallest investor can get involved in the market. Even large investors enjoy the novelty and liquidity of the smaller gold products. They are often given as gifts. In this way gold as a strategy to protect and grow wealth can be introduced to others. Please fill out this form to be contacted by a Guildhall representative. Guildhall Precious Metals Online is a subsidiary of Guildhall Wealth Management. 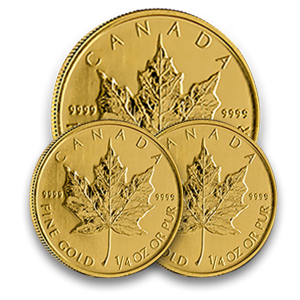 Guildhall offer clients the ability to buy, sell and store physical gold, and silver and RRSP eligible precious metals.